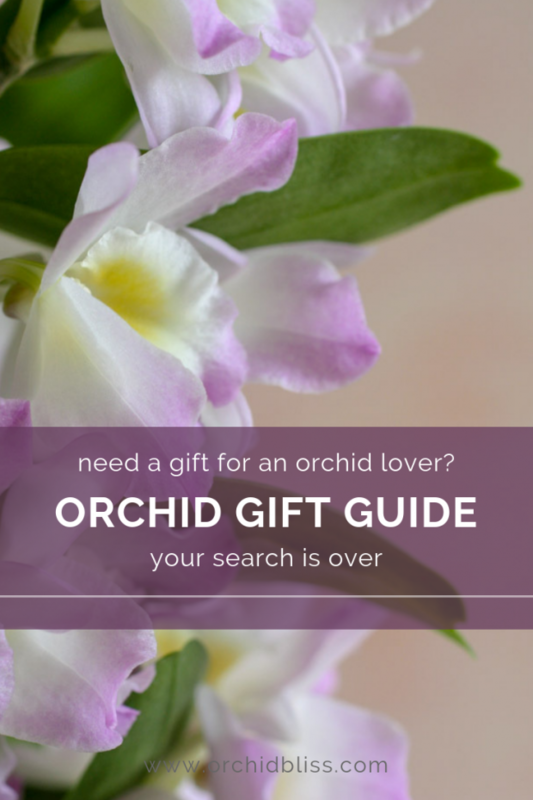 If you’re looking for orchid gift ideas, you’ve come to the right place. I’ve scoured the internet and found what you’ve been looking for. 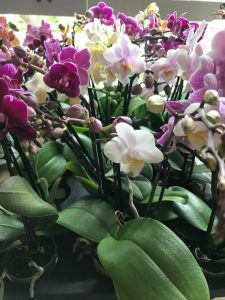 Here you’ll find everything from live orchid plants, and hand-thrown orchid pots to a line of orchid-inspired paper goods featuring a desk calendar and note cards to finely rendered orchid prints and original art. Ready to chase the winter blues away? 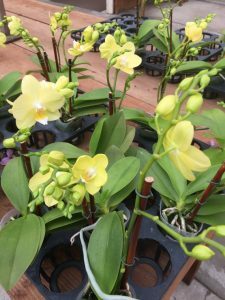 Winter blooming phalaenopsis are considered the easiest orchids to grow. 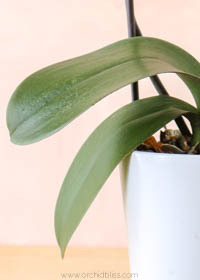 But that’s only half the story, phalaenopsis orchids are prized for their long-lasting exquisite flowers. 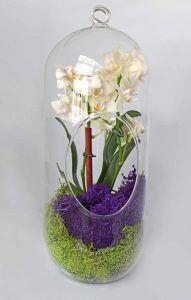 Floralistic offers mini phalaenopsis orchids in 2″ and 3″ culture pots, and they also offer orchid terrariums. 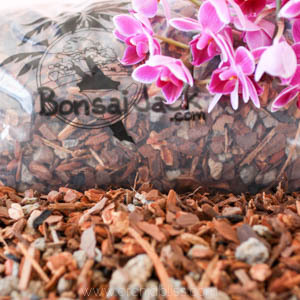 Consider gifting a rather spectacular orchid pot. 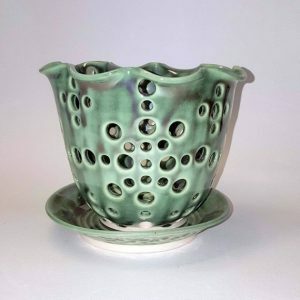 These hand-thrown pots are works of art created with love by master potter and orchid grower, Jolene Cap.These hand-crafted pots are everything that big-box, mass produced items are not. 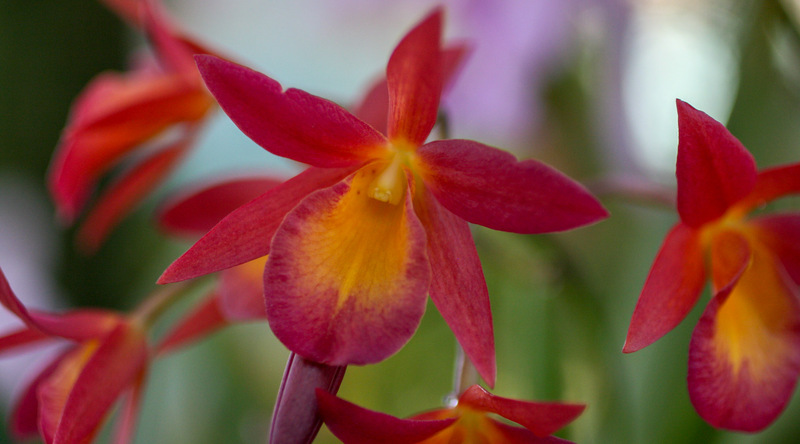 This is a gift that orchid fans will treasure. There’s nothing more timely than a calendar for Christmas. 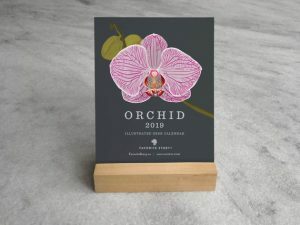 And, what could be lovelier than a desktop calendar featuring orchids? 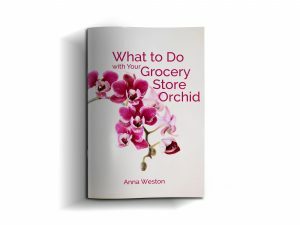 In addition to the calendar, you’ll also find note cards, gift wrap and prints. 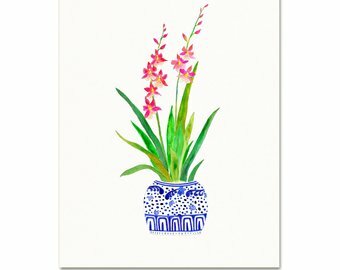 Imagine the walls of your home or office dressed up in stunning original or archival orchid prints. 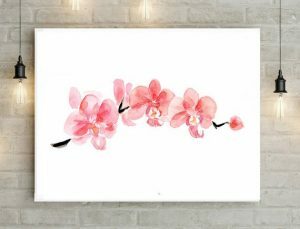 These orchid prints are made with high quality 100% cotton paper using archival pigment by New England artist Sarah Martinez. The quality of these prints are such that the prints are hardly discernible from the originals. These stunning paintings are original artwork painted by Kseniya Volosyanaya. 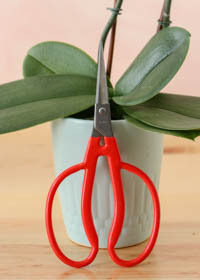 If you have something particular in mind, custom orders are welcome. 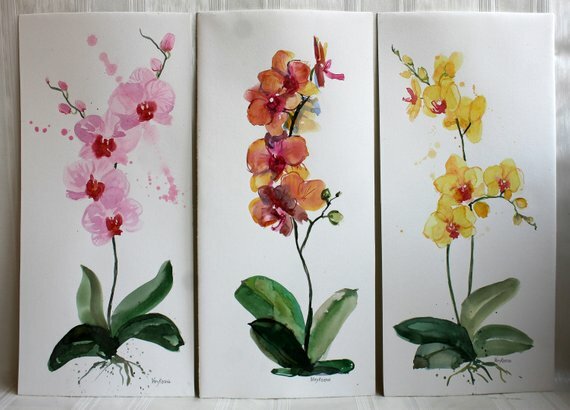 These watercolor prints are painted by Dutch artist Michelle Dujardin who specializes in zen art. Her artwork is available on canvas or on paper. 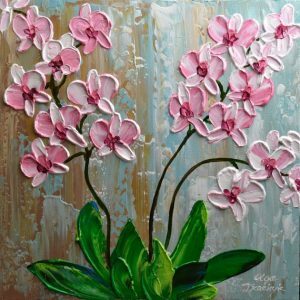 For highly textured original artwork, Olga’s impasto-style paintings may be just what you’re looking for.